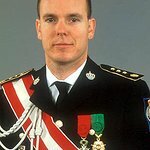 Prince Albert II is the head of the House of Grimaldi and the current ruler of the Principality of Monaco. He served as the International Patron of the ‘Year of the Dolphin’ in 2007 for the United Nations and United Nations Environment Programme. Prince Albert has begun to return the animals from Monaco’s Jardin Zoo to the wild, and intends to convert the Jardin to a zoo for children. The project was undertaken in conjunction with the Born Free Foundation. In January 2009, Prince Albert left for a month-long expedition to Antarctica, where he visited 26 scientific outposts and met with climate-change experts in an attempt to learn more about the impact of global warming on the continent. In June 2009, Prince Albert wrote an open letter to the Wall Street Journal about the Blue Fin Tuna fishing industry, in which he said Monaco would seek to award endangered species status to the Mediterranean bluefin. If upheld by the voting CITES delegates, this proposal would effectively ban the international trade in Mediterranean bluefin. On 23 October 2009, Prince Albert was awarded the Roger Revelle Prize for his efforts to protect the environment and to promote scientific research. Google trends for "Prince Albert II of Monaco"
We don't have any videos related to Prince Albert II of Monaco.